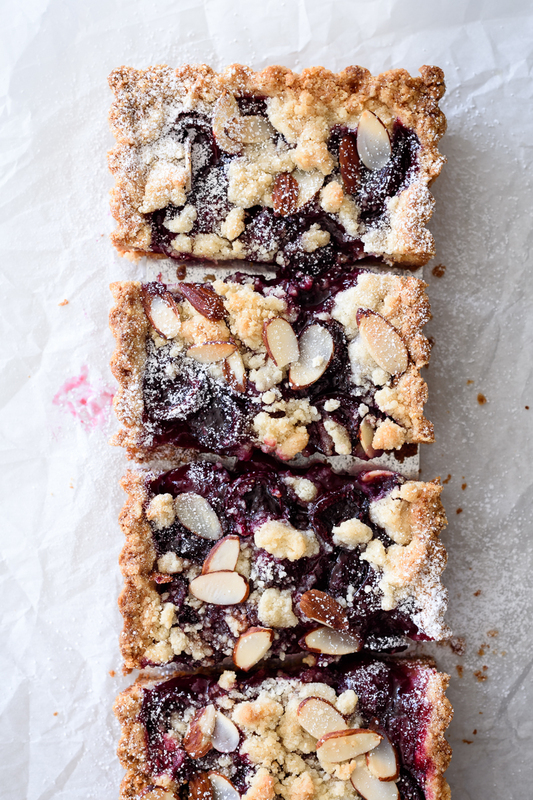 Sweet dark cherries combine with crumbly almond shortbread in this cherry almond tart, for a spectacularly simple and crowd-pleasing Summer dessert. 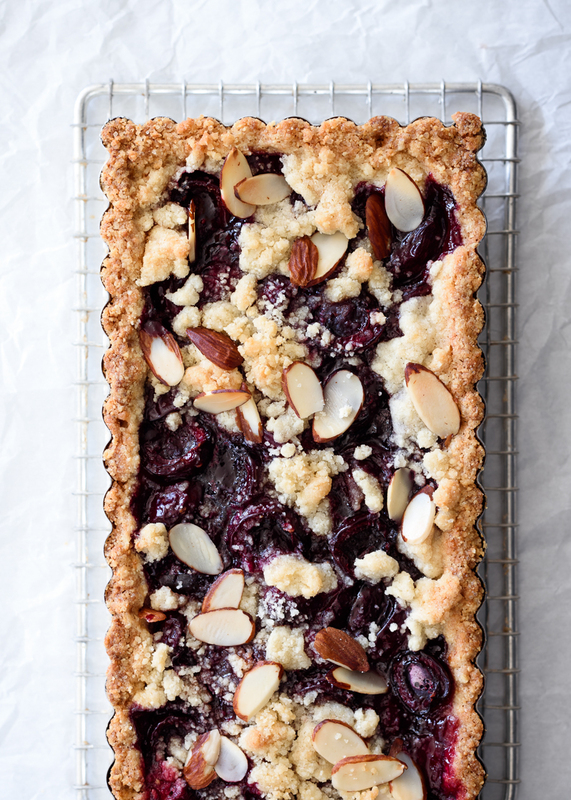 To celebrate the solstice, and kick off the start of Summer, I made you a sweet cherry almond tart, something sweet to eat while you lap up these extra golden hours of daylight. The sun didn’t set until like nine thirty last night (!) – still haven’t gotten used to that. Not only has this tart become one of my favorite recipes, but it highlights one of our regional, seasonal specialties: sweet cherries. 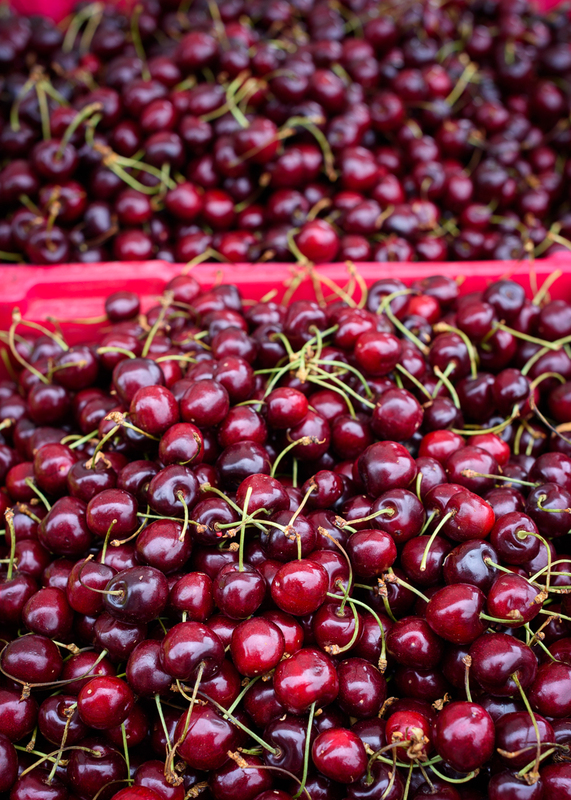 Washington growers expect a record sweet cherry crop this year, and as if to prove the point, our farmers markets are even more overflowing than usual with big bins of dark ruby beauties. I’ve been bringing home about a pound a week, most of them just for snacking, but in the last few weeks, the leftovers have made their way into a cherry pie, spooned atop a chocolate amaretto cake, and swirled with sugar and vanilla to fill this simple and rustic cherry almond tart. 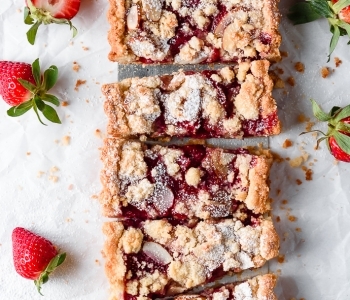 This recipe originally comes from King Arthur Flour, and combined fresh strawberries with the sweet almond shortbread crust and crumble topping. I’m always game to bake with berries, but given our bounty, was tempted to swap in sweet cherries instead, and found the cherry almond combination equally lovely. 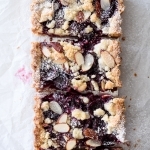 The fruit, which sits for a bit to quickly macerate with sugar before filling a buttery, rich shortbread crust (which also functions as a dimply crumble topping) cooks down into a lusciously thick and jammy layer in the oven. 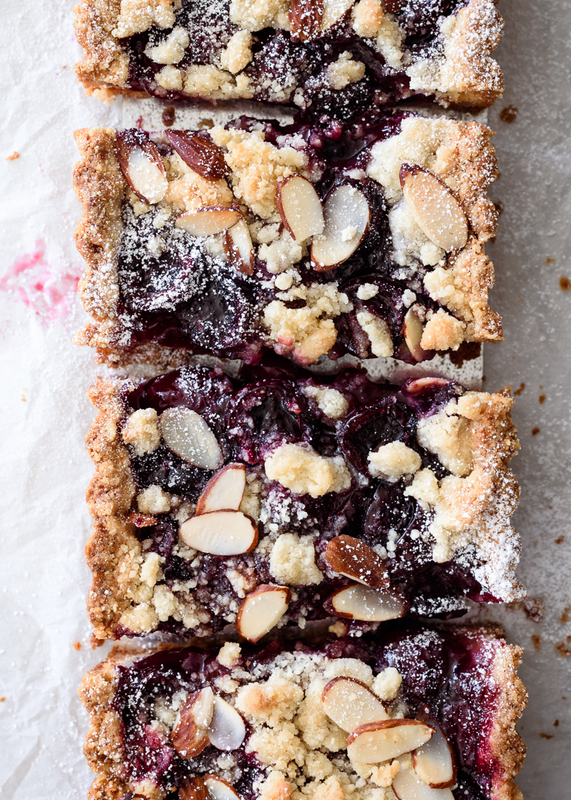 The almond-crumble topping sinks gently into the cherries, resulting in a wonderfully tender and flavorful tart that bakes up beautifully, and holds together surprisingly well. It’s a winning recipe, and one I can imagine would pair well with any peak season fruit you have on hand – any berry would be lovely, and I’m already imagining sliced peaches with a dash of cinnamon… nestled under a big scoop of vanilla ice cream. 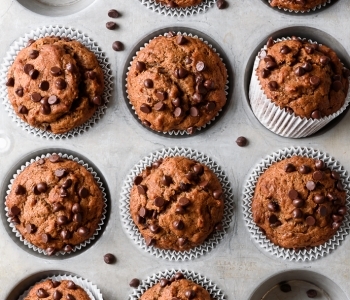 Use your fingers to incorporate the butter into the flour mixture, until it resembles chunky, pea-sized crumbs. Stir in the milk until evenly combined. Press two thirds of the crust mixture into the bottom of a 4×13 inch fluted tart pan, using gentle but firm pressure, and starting with the bottom and working your way up the edges. Place the tart pan and the remaining crumble mixture in the refrigerator for 30 minutes. Meanwhile, in a medium mixing bowl, stir together the cherries, sugar, arrowroot, vanilla, and lemon juice until combined. Let sit at room temperature while the crust mixture is chilling. Remove the tart shell from the refrigerator, and fill with the cherries and juices. Sprinkle the remaining crumble on top, along with the sliced almonds. 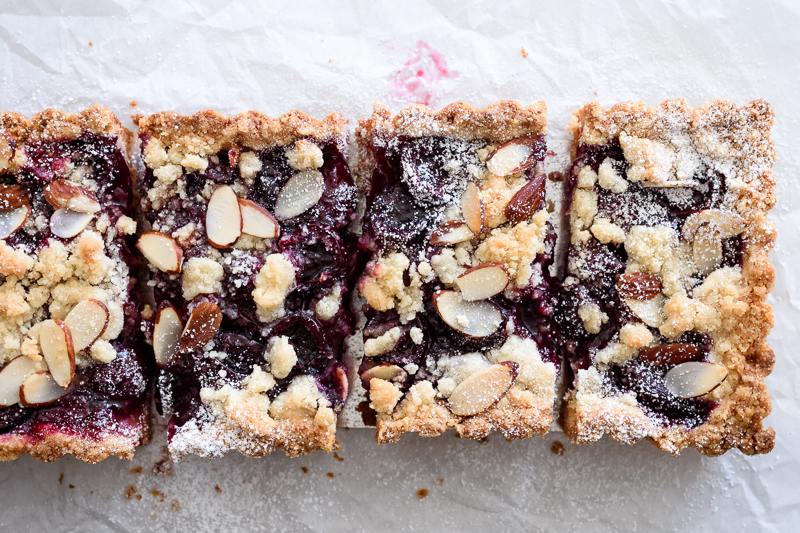 Place the tart pan on a rimmed baking sheet to catch any drips or overflow, and bake for 45-50 minutes, until the cherry filling begins to bubble, and the crumble topping is golden brown. Remove from the oven and let cool for at least 30 minutes before carefully removing from the tart pan and slicing. 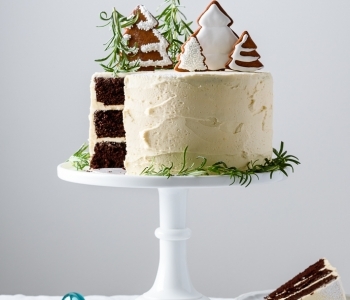 Serve warm or at room temperature with a dusting of confectioners sugar, or a scoop of vanilla ice cream or freshly whipped cream. ² Arrowroot starch is my thickener of choice for pies and fruit fillings. Substitute cornstarch as desired. Wow, your tart looks amazing! 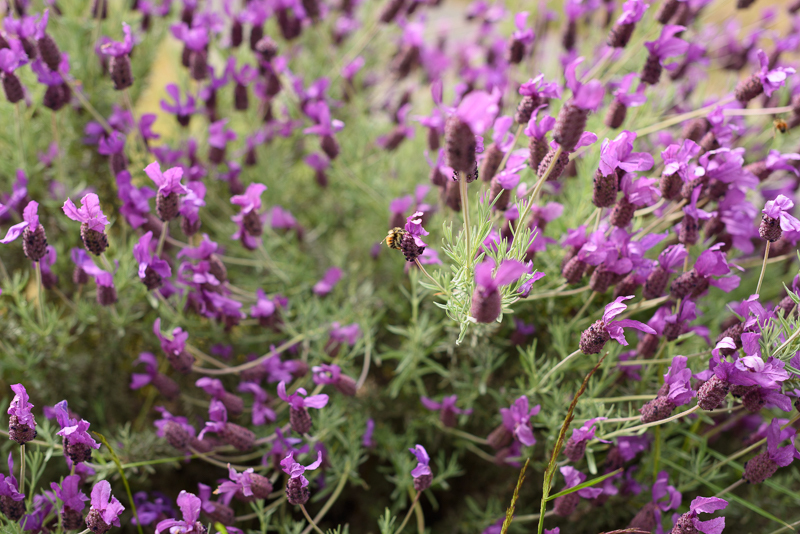 I was looking for a gf recipe with almonds, as our almond trees are bursting with nuts at the moment. The tart pan size at the top of the recipe card says 14 x 13. But the instructions say 4 x 13. I have a 14 x 3 size pan. Will that work? Thank you for the recipe. This is going to be my very first tart. Just discovering the joys of these treats. Sorry about the confusion! 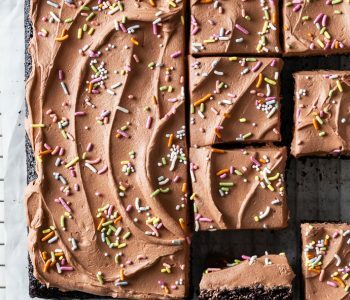 It should be “yields: one 4×13-inch tart.” Your 3×14 size pan should work, though! I’ve also made a version of this tart in a round 8-inch pan, so it’s flexible 🙂 Hope you enjoy!! Wow! I’m beginning to drool, just looking at your pictures! I can’t wait to try these!